We started every day with an incredible breakfast. 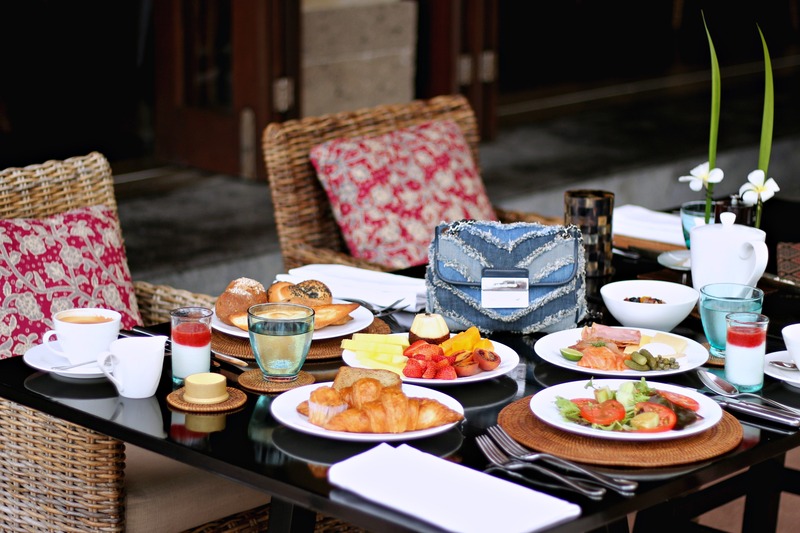 Name any particular breakfast food and The Legian Bali has it available for you. There is a great variety of breads, muffins, cakes, multiple fresh international cheeses, cold cut deli meats, fish, tropical fruits, granola, muesli’s, salads and yogurts. You can also order any style of eggs, waffles and pancakes you desire. My favorite dish was the salmon scrambled eggs and their home made jams were to die for, add a fresh croissant for your guilty pleasure. Seriously their breakfast is one of the best I have tasted while traveling. All the foods are extremely fresh and delicious! We had so much food on the table, that we couldn’t even finish it. The restaurant staff was so kind to take the left-overs all the way up to our suite. This was great, because we were able to munch away on them later that morning. I thought this was such a kind feature! I mean I can not stand spilled food, so this was incredible! Lounging by the pool is one of our favorite things to do. I always like to catch up on Instagram and Facebook while I am at it and also reply to my emails. I also browse my favorite online stores to check out the new collections and trends. No matter where I am, I always like to keep working and doing research for my blog, because I can not sit still for too long. Talking about new collections, I was wearing a few beautiful pieces from The Legian’s in-house boutique. What I love about their collection is that it’s fresh and bold, while still maintaining their classy and timeless style. 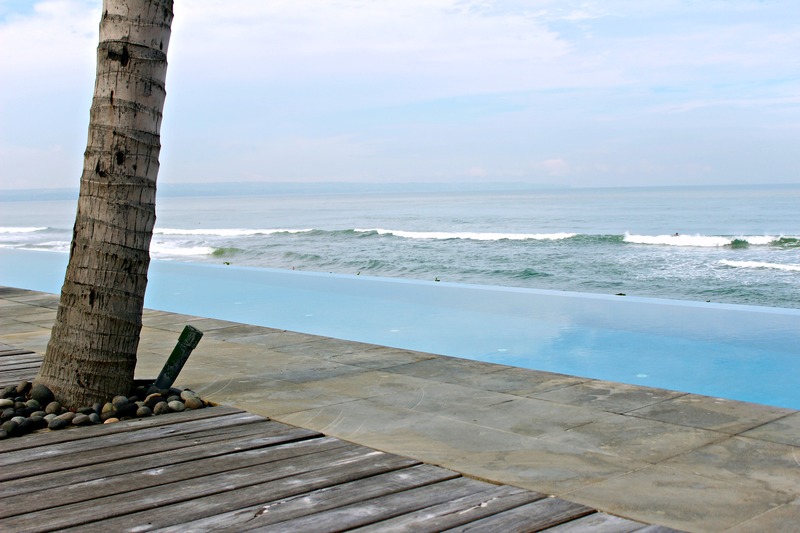 The Legian has a gorgeous outdoor area overlooking the ocean. We fell in love with the three huge infinity pools. The pool staff is so kind and kept reaching out to serve us fresh water and towels, making our pool days so special for us. It was also very nice that all the staff at the restaurant and pool area knew us by our first name. How thoughtful is that. 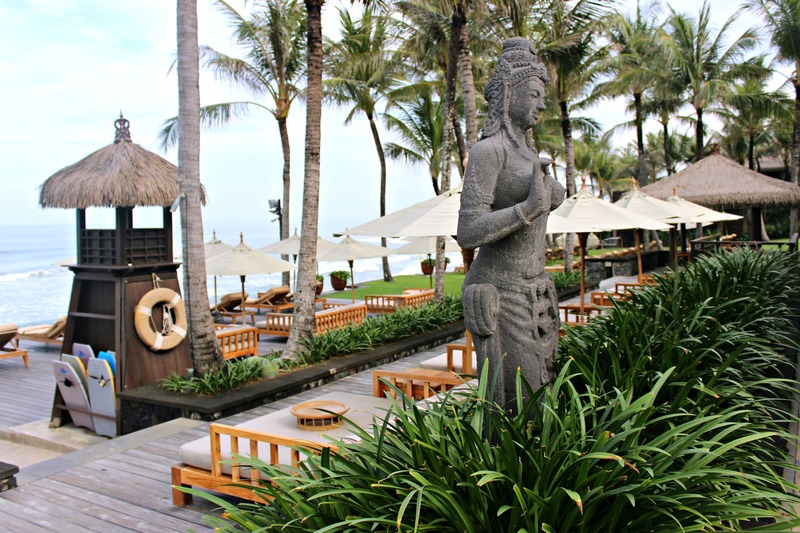 Like I mentioned in my recent post, The Legian Bali stands for nothing but the best. 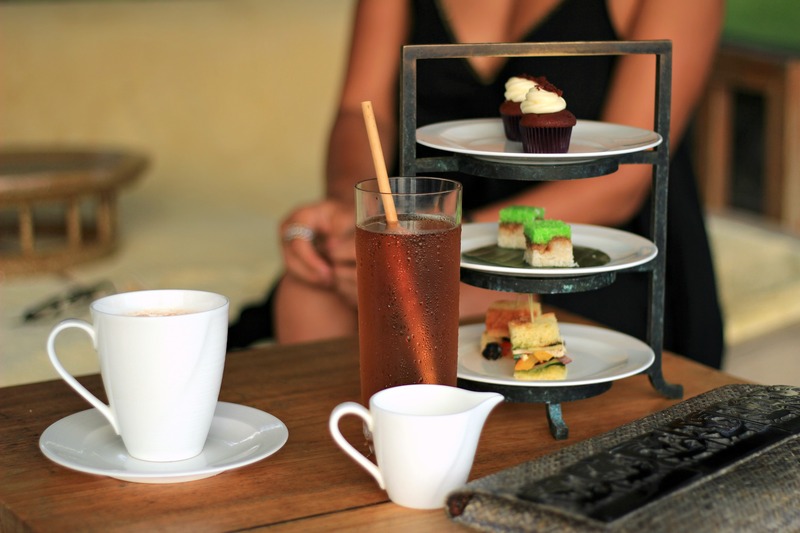 From 4 pm to 6 pm The Legian serves a complimentary high tea. My favorite was their creamy hot chocolate. I changed dresses because that night The Legian invited us for an outdoor cocktail party overlooking the ocean. Also complimentary! This place is just something else right? The black dress, accessories, jewelry, and clutch I am wearing are from The Legian’s in-house boutique. 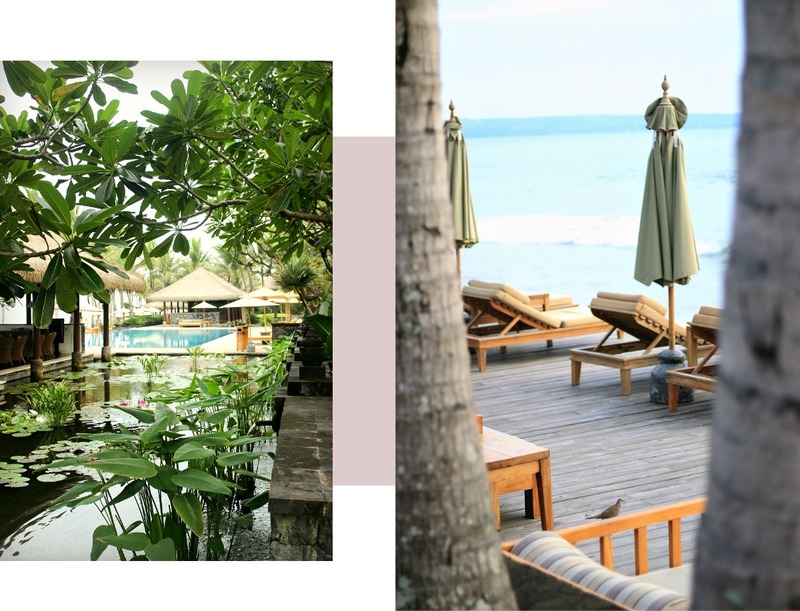 All their items are classy and trendy, yet with a touch of traditional Bali. Imagine sipping delicious cocktails while watching this beautiful sunset. Can anything beat that? I think not. We would like to thank everyone and especially Mirah Tara at The Legian Bali for making our stay truly unforgettable and yes, we will be back! 1- You should never forget to bring your most fabulous outfits. 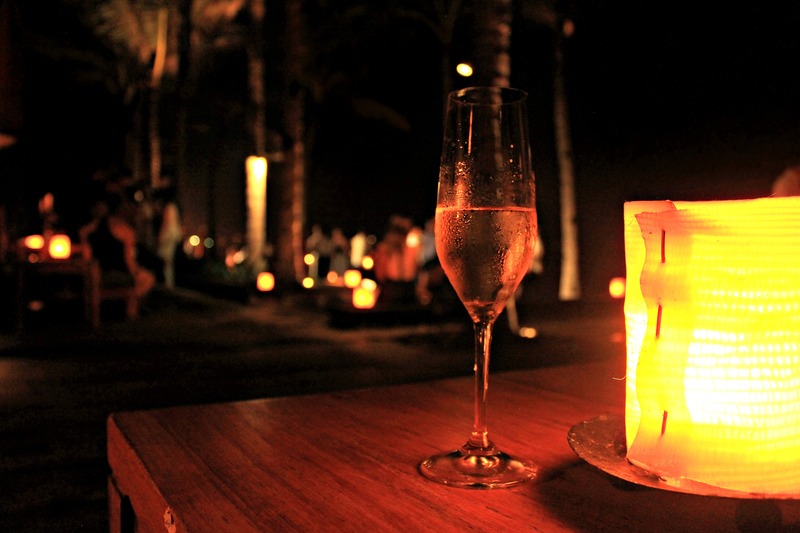 Spectacular nightlife and trendy restaurants are just around the corner and you want to be ready to hit all these Bali parties! 2- Hit the gym even if it’s just once. 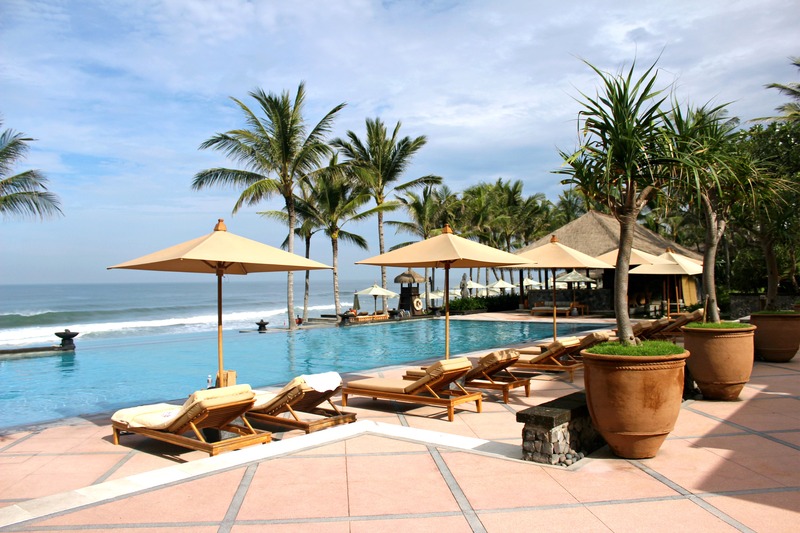 The Legian offers great work-out facilities. 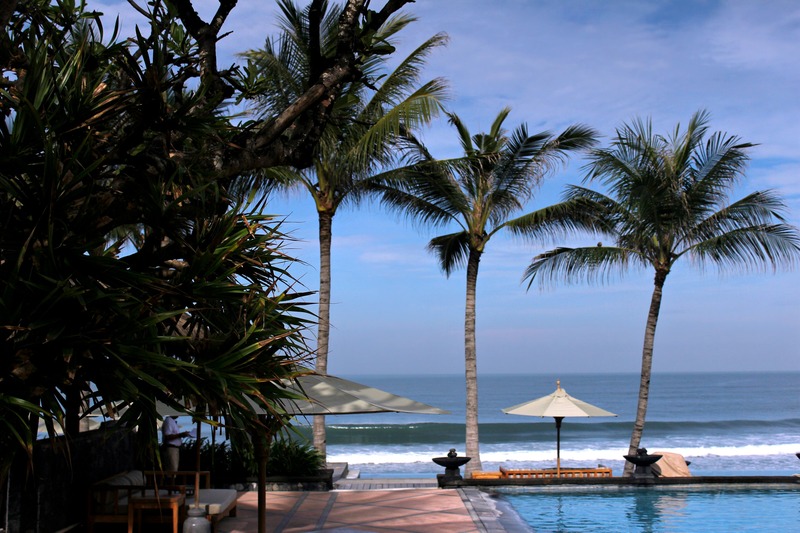 3- When you have kids, The Legian offers all sorts of fun activities from July to early October. Make sure to ask about it when you arrive. 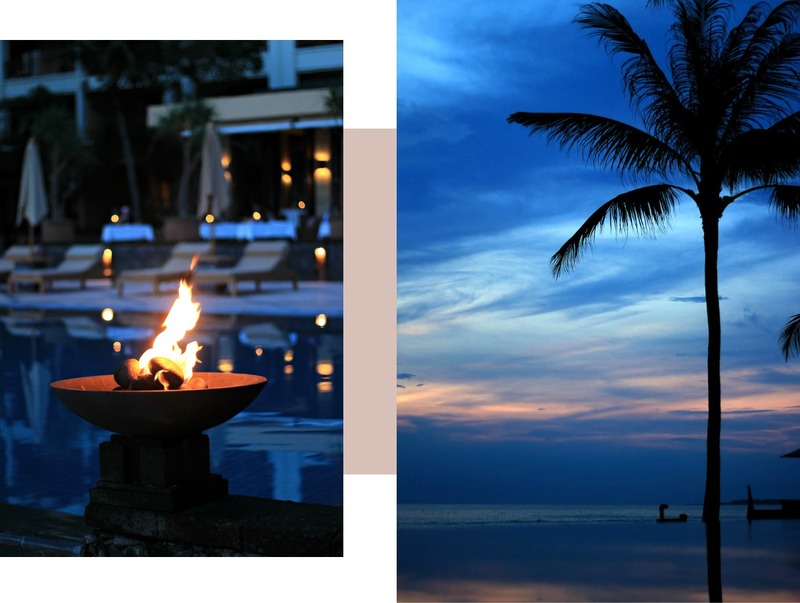 4- Book a private tour around the island, where you’ll be able to visit Ubud the spiritual heart of Bali or visit Tanah Lot the famous Balinese sea temple. Your personal driver can also take you all the way up north where you can visit Mount Butur with spectacular views. You can arrange packages on an hourly, half-day, or full day basis. 5- You should just relax! 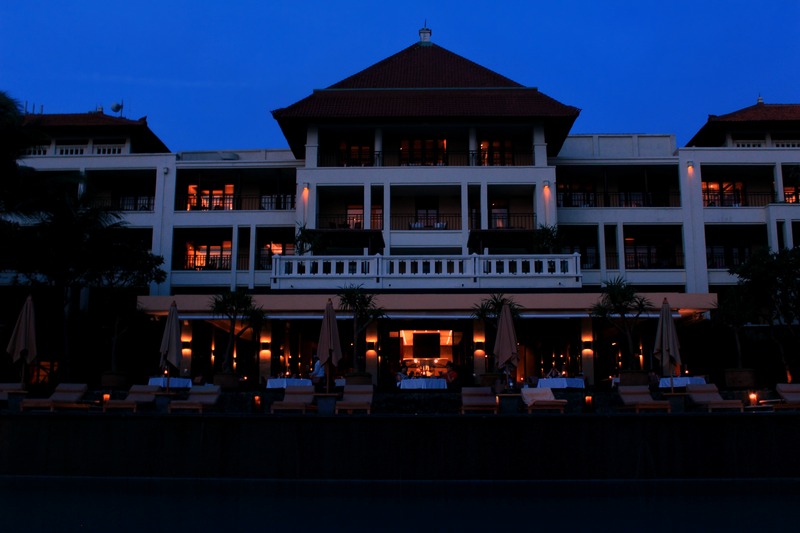 The Legian is famous for making your stay as comfortable as possible and it will be an experience you will never forget! Bali has been so amazing to us. It sure is a place that will capture your heart forever. I hope you enjoyed reading my travel diary you guys. 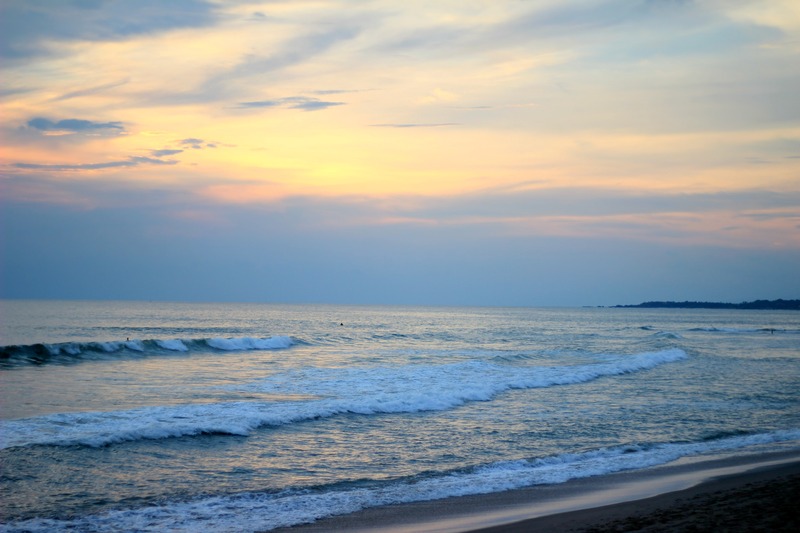 Have you booked you summer vacation yet, where are you heading this Summer? "8 Trendy Red Dresses That Will Turn Heads This Summer"